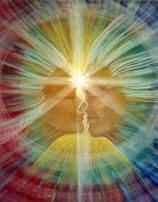 For the past few decades Twin Flames have been re-uniting with one another. These reunions are occuring more frequently at this current time on earth and will continue to accelerate as the consciousness of humanity expands. Twin Flames from all various frequencies, even those not incarnated into the physical, are coming together in order to restore the Unity of all creations and to collapse duality consciousness. This is happening now through the force of Creation and by the Will of the Creator, and according to the Divine Plan that has been unfolding since the beginning of Tme. The purpose of the twinflame re-union at this time on earth is one of service to others. On a planetary and universal level they are carrying out a holy mission according to the Divine Plan of the Creator. There are Twin Flames that still currently exist in the higher frequencies (non-physical dimensions), that are not incarnated in the physical; they are re-uniting at this time. Twin Flames who are incarnated into the lower frequencies of form (the physical dimensions), such as earth, are re-uniting at this time and even coming together in marriage. 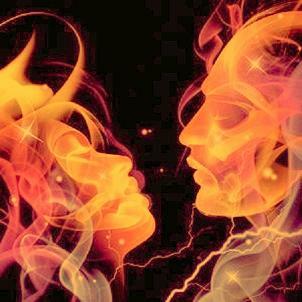 When Twin Flames are united, there is a continual unified field of energy present between them. For those on the earth, this unified field acts as a bridge to the higher dimensional frequencies of light beyond duality consciousness---to the highest vibration of Source and Unity. 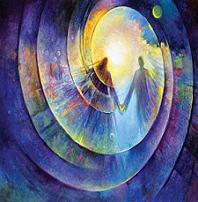 Here the Twinflames function as a single consciousness. Each twinflame may have its own unique individual talents and understanding in their own spiritual work on earth, but in the higher frequencies of love, light and oneness, It is the unit that is commissioned for service, not the individual expressions of the unit. Before one can be re-united with their Twin Flame on the physical plane much conscious and spiritual work must be accomplished. This work involves the resolution and releasing of karma, emotional and mental healing. One must transcend the limitation of ego and have an understanding of unconditional love through experience. One must become an integrated whole within one's self. The heart must be made strong and resilient and this occurs usually through experiences of pain, suffering, grief and loss. This does not mean that you have to become an enlightened guru, it simply means you must be sincerely commited to a spiritual path of self-imrovement and self-empowerment, to realize the concept of oneness and unconditonal love, and to live as authentically as you can, conscious of ego. Many soulmate relationships will occur prior to this as these relationships can help to accelerate growth and learning for each individual soul, and to reach higher understandings of love and unity consciousness. These intense experiences and personal spiritual work will prepare the individual to face the intensity of being with the other energetic-half of their own higher self or soul. The idea of co-dependant or ego-based relationships that can be found on earth at this time can not be the foundation of a Twin Flame relationship. There can be no perceived 'need' for another person to make you feel whole or complete. You must realize that you are already whole and complete. You are not separate from your Source and you are part of God. You are also not seperate from your Twin Flame, as you have never been spiritually seperated from them since the beginning. You can not seek a love that is seperate from yourself to fill you up, but instead must realize the love that is already within you and your connection to the Source which you always were, and always will be a part of. The way to realize this oneness is by balancing the dualistic aspects of energies within you. Despite our physical gender, we all have the masculine and feminine qualities of energy within us. Before you can reunite with the twinflame there must be a balace of these male and female energies and the qualities that they represent. Each twinflame must have these energies in balance in order to come together in harmony.